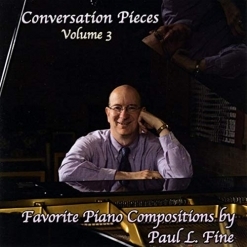 Conversation Pieces, Volume 3 is the third part of a trilogy of favorite original piano solos, instrumental ensembles and (vocal) songs gathered from the first ten albums released by Paul L. Fine (Volumes 1 & 2 were reviewed separately). 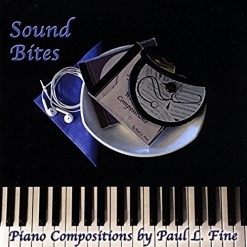 This album has an impressive twenty-four tracks that include one new composition and selections from nine of Fine’s previous albums. Many of the tracks were edited a bit by removing repeated sections, making room for the large number of tracks. None of the pieces sound “chopped” in the editing process, and this compilation flows really well despite the wide variety of music genres that are represented. I have had the pleasure of reviewing all of Fine’s albums, and have enjoyed them all! It’s a joy to revisit so many pieces that I haven’t heard in quite a while! A medical doctor and an associate professor of Internal Medicine at The University of Michigan, Dr. Fine has been playing the piano since he was five and starting writing music at six. He released his first album, Fine Tuning, in 2006. Six of the tracks on this album are from that first album, many of which were performed by pianist Korin Hancherlian-Amos. Since then, Fine has composed and performed on his albums solo, with his kids, other family members and musical friends. He often composes music in honor of the special people and special events in his and their lives that include births, weddings, graduations, deaths and everything in between. The liner notes of the CD have descriptions of the origins and inspirations for each piece, some of which date back to college. 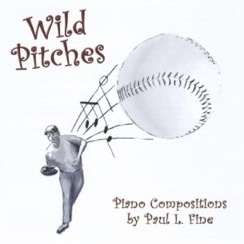 Fine’s composing styles are all over the map. Some pieces are in the various classical styles, some are wonderful ragtime pieces, some are more pop, or romantic or jazz or novelty songs. My own favorites are the rags and bluesy pieces, but all of Fine’s music expresses a warmth and a love for life and the people around him. For example, the new piece on the album is called “Jerrymeandering,” and was composed as a wedding gift for a friend named Gerald. It was written in an upbeat style based on the G-F-D sequence of tones of Jerry’s initials. This piece is impossible to classify - a little bit ragtime, a little bit classical and a little bit pop, it’s pure Paul Fine! With such a smorgasbord of music to choose from, it’s impossible to single out any specific favorites in this collection, but I can honestly say that I love ‘em all! Congratulations to Paul Fine for his excellent first ten albums and for this impressive retrospective of his work so far. I’m looking forward to the next ten albums! 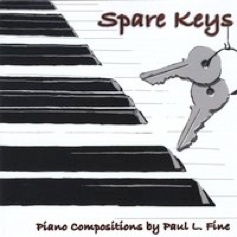 If you aren’t yet familiar with Paul Fine’s music, this and Volumes 1 & 2 are a great place to start! If, like me, you have all of his albums, this is a selection of Fine’s favorites all in one place. Conversation Pieces, Volume 3 is available from Amazon, iTunes and CD Baby.